As a parent or carer of a pupil at Sacred Heart RC Primary School your views are important. 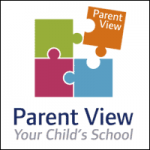 Please log in to parent view and share your views on our school. Your feedback is important in helping our school to continue to improve.